The bills also provide for maintenance of registers for professionals engaged in Indian System of Medicine and homeopathy. Please intact imcc act 1970 clause 17 (3) (b) to save ism graduates rghts to practice allopathy also bcaz in 5yrs BAMS course we studied both the system ayurved and allopathy.we provide cheap and best primary healthcare to poor people.if this act be repelled it will be injustice to us and to millions of poor people of india. That is why you are called as bunkam fellows , deliberately cheating the public in the name of ayurvedha. You are same less monkeys with a stethoscope around your neck. It is good for Homoeopathy …I support this bill. 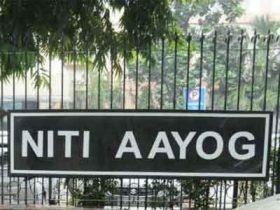 I have a suggestion to niti ayog that Age bar should be resolved and caste reservation should desolve also in case of joining for govt. job as medical officer because so many doctors wants to do job for service to common people. but present rule give beriar for the same. Thanking you . with regards… Dr. Koushik Singha BHMS. Reg no CCH-2261. Ayurveda our traditional system of medicine. We are waiting to see the golden period of Ayurveda by Modiji.